Are you aware how your doctors office appears online? Have you made sure your office’s name, address and phone are correct across all directories online? Chances are your office has location errors across the internet. Whether your name, address or phone is incorrect, customers will move on to other doctors when they see this wrong information. This paper analyzes all aspects of this location data problem. It will show you why these errors arise, how much they are costing your business and most importantly how to fix these problems. 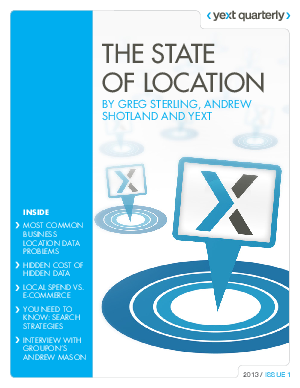 Local SEO experts Greg Sterling and Andrew Shotland take a deep dive into data to help any small business owner get informed on this issue and understand the solutions to fix these problems.